Danny has been of great help to us in restoring our overrun garden. He has provided excellent fencing, expertly maintained and removed various trees around the property and a huge tidying up project. Each of the tasks he has completed without fuss, at a good price and optimum efficiency. He is very reliable. We have already recommended him to our friends. 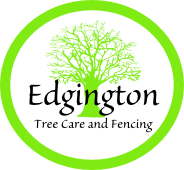 I am a professional garden designer working through out the UK and Europe , and I have used Eddingtons to carry out professional tree care , Fencing and Groundworks on many projects over several years as well as at my own garden which I open to the public. Danny is always punctual, reliable and hard working providing an excellent service whether it be tree work or fencing, and always at a competitive price. I would not hesitate to recommend this company. Danny came and did some work for me recently on a large ash tree that needed cutting back , he was absolutely fantastic and very efficient . We booked in a date and he was prompt and got the job done quickly with no mess ! He did exactly what we had asked and left the remaining tree still looking great . He took all of the wood away leaving the area looking immaculate. He was polite, friendly and hard working . I would recommend his services to anyone , 5* service !